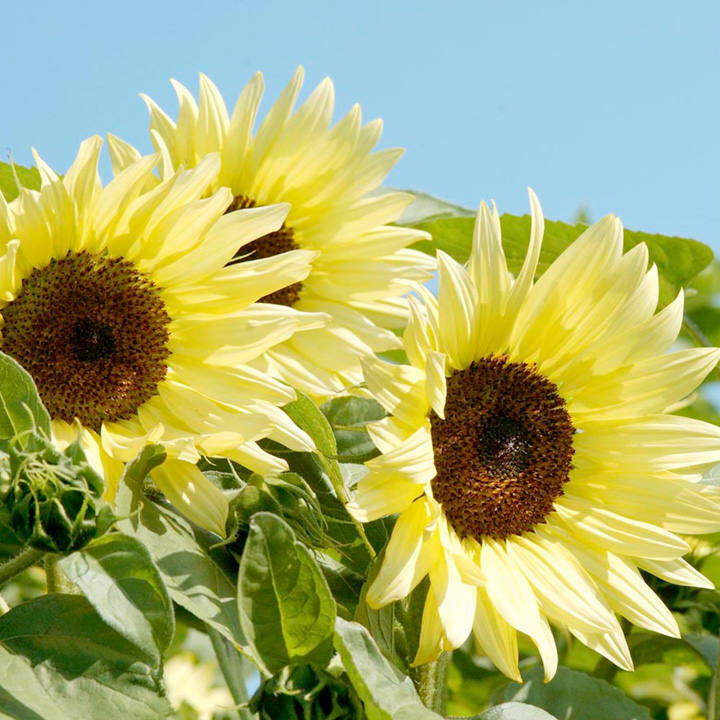 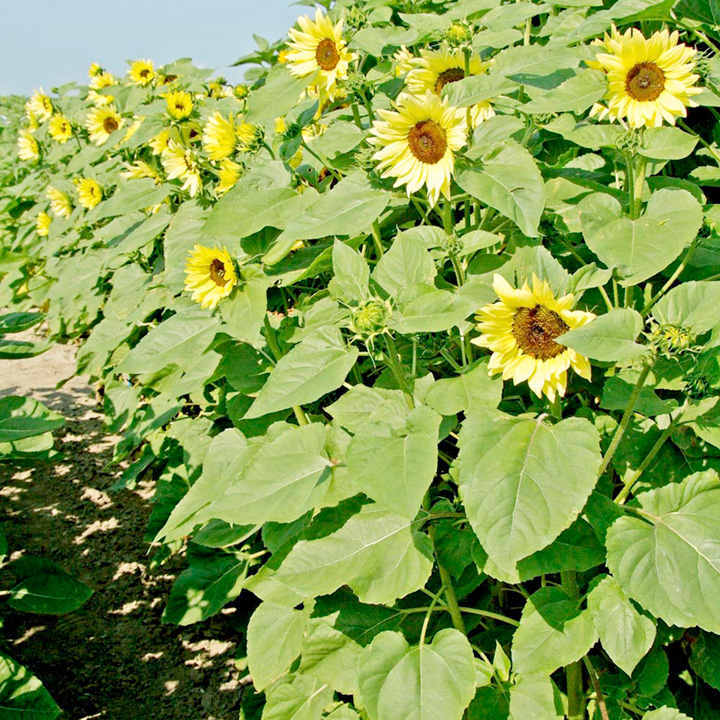 One of the earliest blooming sunflowers, with beautiful creamy-vanilla blooms. 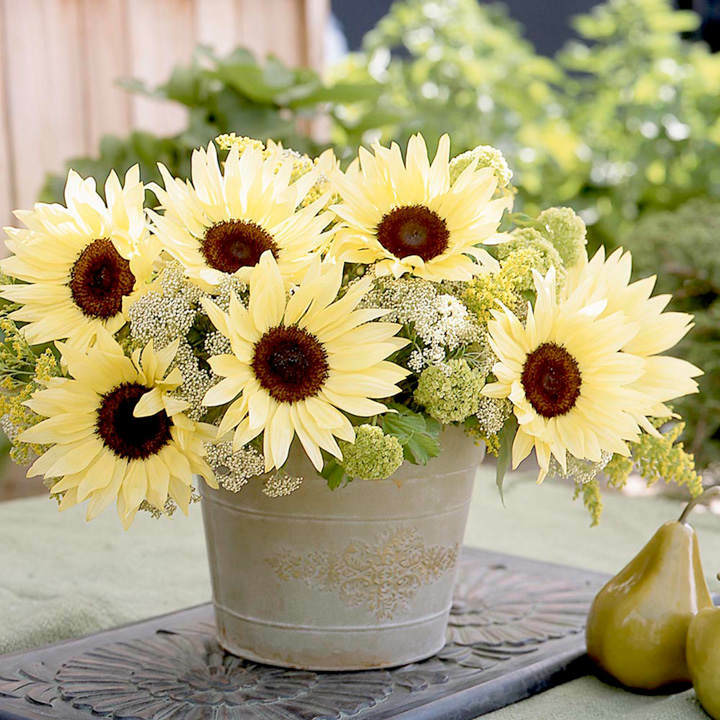 Ideal for a vase indoors as it’s pollen-free, and, what’s more, it keeps on producing more flowers when you cut the blooms! 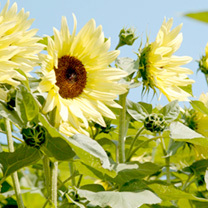 Ideal for borders and containers, and a great source of seeds for the birds. 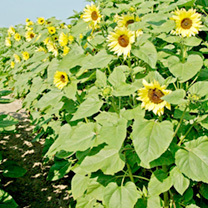 Height 1.2-1.5m (4-5’).